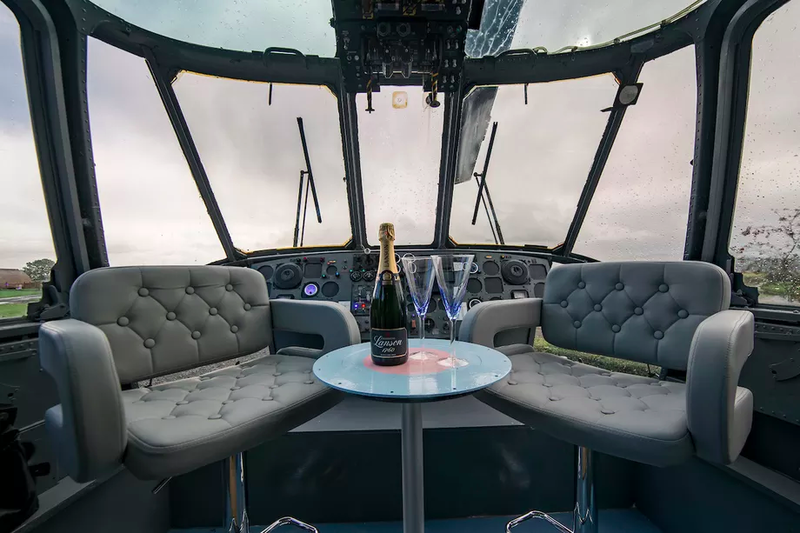 There’s a breakfast nook in the cockpit. For real. 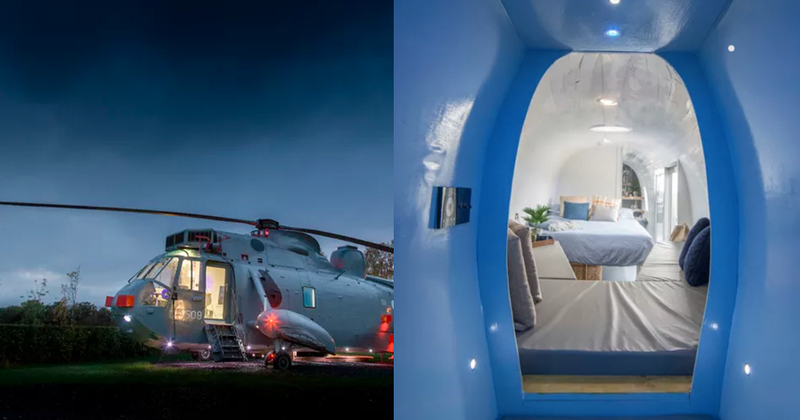 Yep, that’s a military helicopter that’s been turned into a cozy sleep pod. 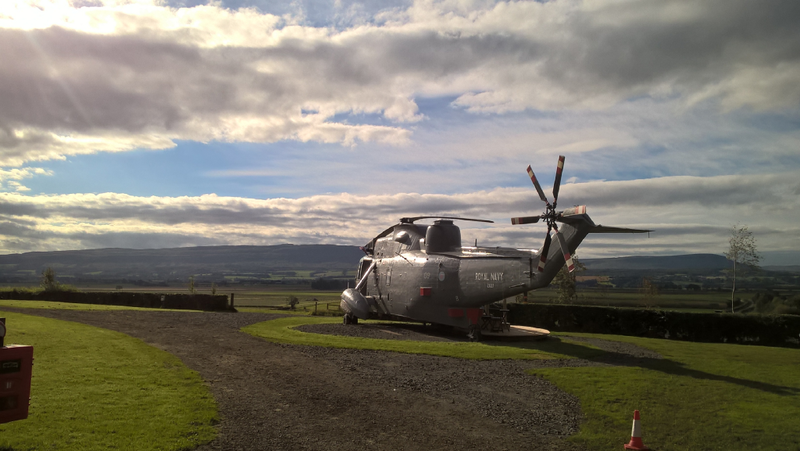 If you travel to Mains Farm in Stirling, Scotland, you’ll see the imposing sight: a 56-foot Royal Navy ZA127 Sea King helicopter, to be exact. 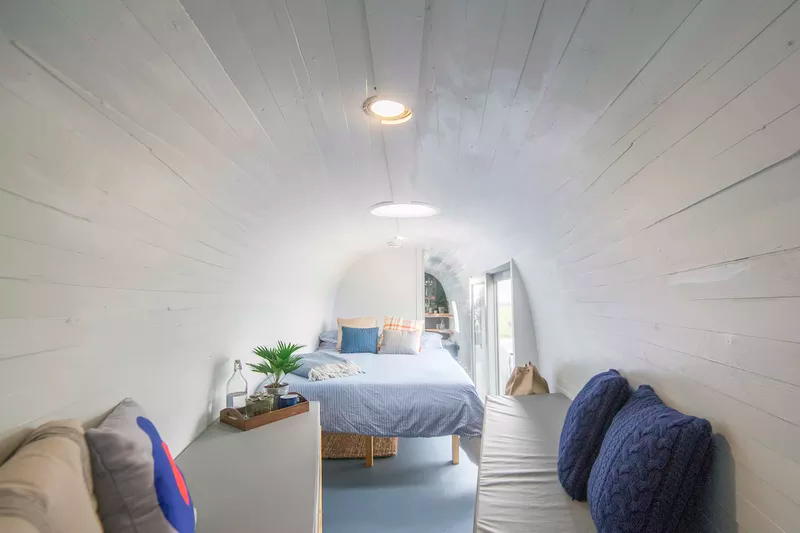 Although it might appear ready for liftoff — especially when it’s lit up at night — the helicopter is decommissioned and now functions solely as a sanctuary travelers can rent. Last year, a husband-and-wife duo named Martyn and Louise Steedman watched as the Sea Kings helicopter fleet made its final flyover. The newspapers said the aircrafts would be sold, and the couple didn’t want the whole fleet to be destroyed. So they decided to get their hands on one. They bought a Sea King for €7,000. 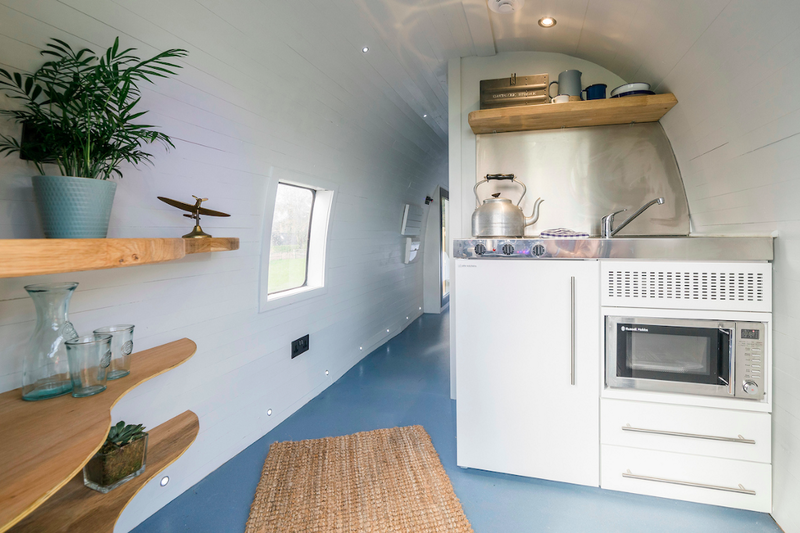 Step into the aircraft and you’ll be washed with natural light, courtesy of a sun dome and double glazed patio doors to open the space up. Maybe unexpectedly, the interior isn’t military chic. It’s clean and crisp, painted all white (with dabs of blue and red). The owners donated the original sonar station to The Helicopter Museum in Somerset, England. 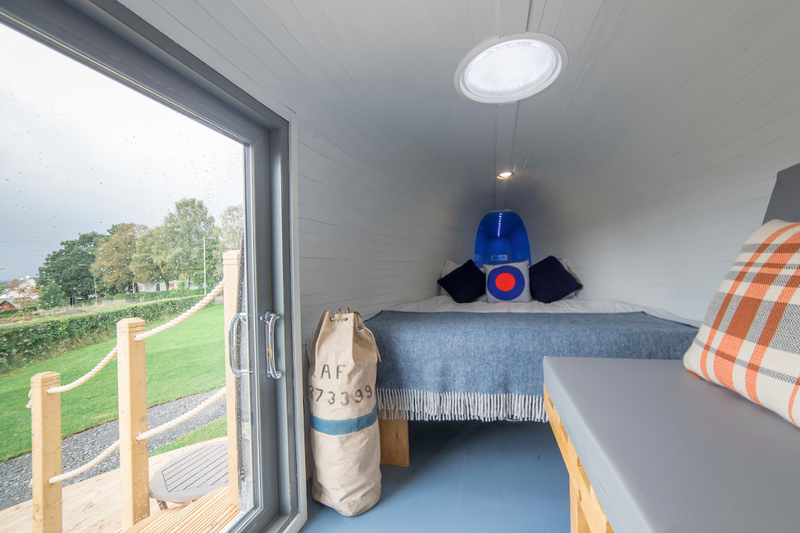 In its absence is a shower and mini-kitchen. With two double pull-out beds and a single bed in the aircraft’s tail, the rental can comfortable sleep a family of five. One night runs a couple €150 ($193) and there’s an extra €10 ($13) for each kiddo tagging along. 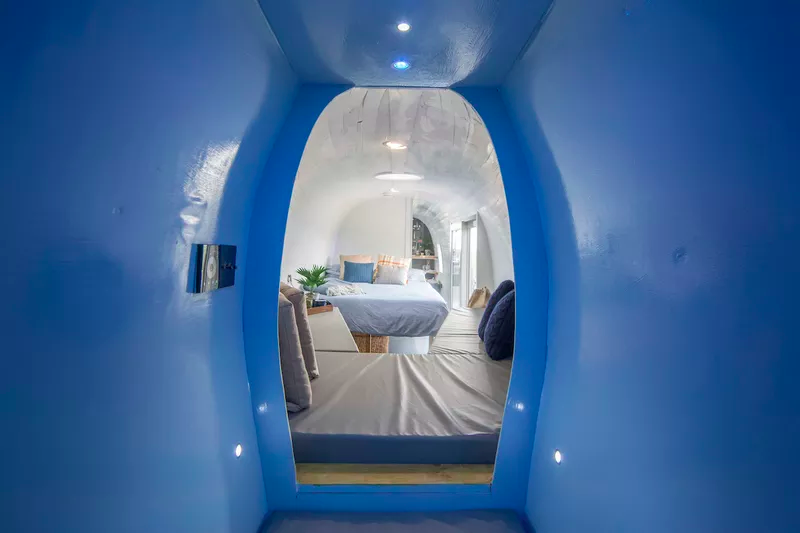 Book it here. And before you even ask — yes, of course there’s WiFi.